Jose Miguel Acevedo was born and raised in Chicago, Illinois in 1975, of Puerto Rican parents. While pursing his studies at the university of Michigan-Ann Arbor, he accepted Islam. By Allah’s Grace, he received his Masters Degree in Education (Curriculum and Instruction) and a dual-bachelors in History and Sociology. For over 15 years, Jose has worked in the fields of education and youth development in various Muslim and non-Muslim institutions. He is currently an educational consultant, based out of the Baltimore/Washington area and is working on developing a relevant Islamic Studies curriculum for middle and high school youth as well as helping to establish Tarbiyah Academy, the first and only Muslim Leadership Academy in the area. Jose is happily married and is the father of 3 boys and 1 baby girl. 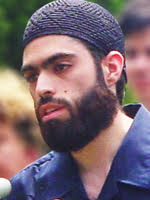 Saleem Farooqui – Saleem Farooqui lives with his wife and three boys in Howard County. He is eager to see Tarbiyah Academy become a reality so that children of our community can benefit from an excellent education in an Islamic environment. Kashif Munir – Kashif Munir lives with his wife and children in Ellicott City. He is very enthusiastic to support a strong academic institution of excellence in our area, providing our youth with the best opportunities to succeed in every aspect of their lives. Hina Naseem – Hina Naseem has a BS in Zoology, an MS in Physiology and an MAT (Master’s in Arts and Teaching). She worked as an editor for IQRA’ in Skokie, IL and wrote several companion workbooks for Islamic education. Hina moved back to her hometown in Maryland and taught 8th grade Science in the Howard Public School System for 8 years. During that time, she wrote and edited curriculum for the Science department and developed staff online courses for HCPSS. Hina served as the Science Team Leader and also took on the role of Technology Coordinator at her middle school. She also was honored as an ADE (Apple Distinguished Educator) and collaborated with other ADEs nation-wide to write and publish lesson plans that, not only incorporate technology, but promote the use of technology in school systems throughout the country.Currently, Hina is at home with her two elementary-aged boys but is very active in her boys’ school’s PTA. She has developed an chaired the School Outreach program that has won awards since the committee’s inception and is a current semi-finalist in the MSDE’s Parent Involvement Matters Award. Hina’s involvement in the Tarbiyah Academy’s Curriculum Committee stems from her firm belief in providing academic rigor to all students in a creative and risk-free environment where natural ties to the Islamic way of life can be freely explored. Ameedah Abdullah – Ameedah Abdullah has been an educator for 30 years, with experience teaching prekindergarten all the way to college. Ms. Abdullah’s has taught in classrooms as far away as Trinidad, West Indies and New York, and as close as Howard County, Baltimore County and Washington, DC. She has used her experience as a reading specialist and literacy coach to teach and coach other teachers in Content Area Reading and Classroom Management.In addition, she has also conducted numerous workshops for teachers in both Islamic and pubic schools. She was an adjuct faculty member at Coppin State University for nearly 20 years. Currently, she is retired and is a substitute teacher in Montgomery County. Yvette Lee – Yvette J. Lee is currently a Project Manager/Research Assistant and Institute for Higher Education (IHE)-Professional Development Schools (PDS) Liaison under the University System of Maryland. She currently holds a Bachelor of Science in Chemistry, Master of Arts in STEM Education and Maryland State certification in teaching. She has worked as a chemist in industry, certified teacher in Baltimore and Montgomery counties, and adjunct faculty member teaching Chemistry for the Community College of Baltimore County. She has also worked for the Maryland State Department of Education. Yvette has served as an educational school board member, tutor in science and mathematics for over twenty years, and supported teachers in various professional development trainings in STEM education. Yvette has five children; one in college, two in high school, one in middle school and one in elementary school. Nahiya Saeed – Nahiya Saeed has been actively involved in the field of education for many years. Her undergraduate studies focused on Early Childhood Education. She has studied Islamic sciences and completed alim courses at various Islamic institutions, and is also a certified tajweed teacher. She is a founding member of ICCL Academy in Laurel, as well as a founding member of the Al-Ansar Homeschool Co-op group. Nahiya is working on the Islamic studies curriculum for Tarbiyah Academy. In addition, she is the mother of 5 children and has been homeschooling 4 of them for over 6 years. Currently, she is working on a Writing Teaching certification for middle and high school students. Manal Agabein – Manal Agabein is originally from Sudan. She is married with 4 children and has been in the United States since 1996. She received an MS in Special Education from Johns Hopkins in 2004 and also has a certificate in Bilingual Special Education from George Washington University. She has 20 years of experience as an educator, in private and public schools, in Sudan, Italy, and the U.S. She worked at Al-Huda School for 3 years and has taught at Dar al-Taqwa’s Saturday school for 2 years. She was given the “Outstanding Educator Award” in 2011 by the Montgomery County Council of PTA). Currently, Manal is the Special Education Department Chair at White Oak Middle School in Montgomery County Public Schools. Shabana Ahmed – Board member, see Shabana’s bio on the Board page.